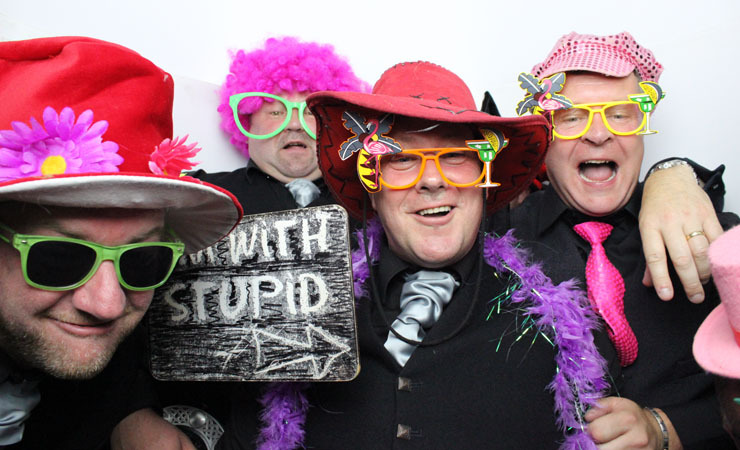 If you have ever seen a photo and video booth in use, you will know how popular and enjoyable they are. If you haven’t seen one before rest assured it will be the talking point of your special occasion! We supply a great variety of props and booth attendants to ensure everything goes smoothly and lots of fun is had. Our booths can hold up to 6 people comfortably and come with state of the art equipment. Leading photographic technology which includes the latest Cannon DSLR Camera and professional studio lighting to give fantastic results, easy to use 22″ touch screen which allows you to make your own selection of photograph style or video message. Our high speed dye-sub printer allows guests to have their professional quality 6″ x 4″ prints in under 10 sec.